Joe Palca Joe Palca is a science correspondent for NPR. 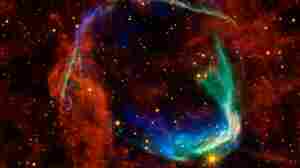 March 27, 2015  Two physicists keen to detect a a very rare, high energy particle think you and I can help. 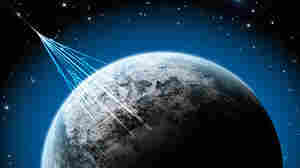 The researchers are working on an app that would allow any smartphone to detect rare particles from space. March 25, 2015  Current tests require growing anthrax in the lab, which isn't the best option for labs in Afghanistan. So engineers have come up with a credit-card-size test that could make the world a safer place. March 19, 2015  Why are 20 tons of fossils being stored in the bell tower at the University of California at Berkeley? A look into the world's only paleontological collection that has its own carillon. March 9, 2015  Scientists in California report they are using the rapidly reproducing organism to track evolutionary changes. The twist is that the new work on evolution has implications for human cancers. 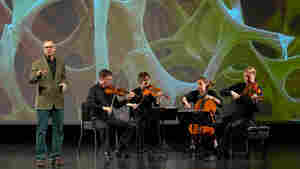 February 16, 2015  Physicist Robert Davies worked with a classical quartet and two visual artists to create a musical performance about climate change. The music and images, he says, help the information take hold. February 6, 2015  In 1998, Al Gore proposed using a satellite and the Internet to let us all see the awe-inspiring view of Earth that wows space travelers. That satellite may finally launch later this year. 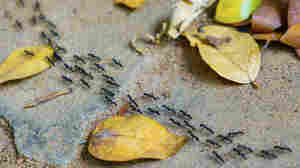 January 26, 2015  A team of Indian physicists has made a mathematical model that purports to explain why ants don't have traffic jams. NPR's Joe Palca explains as part of his series, Joe's Big Idea. January 19, 2015  Ants don't show road rage. In fact, some research shows they rarely get into traffic jams and are able to maintain a steady speed even as their numbers swell. Can physics explain it? January 11, 2015  It was 15 feet long, with a snout shaped like a dolphin's. 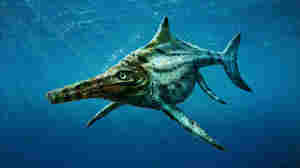 This newly identified meat-eater swam the seas near the Isle of Skye in the time of dinosaurs. December 30, 2014  Using a giant pulsed powered machine in New Mexico, researchers have recreated the conditions inside the Sun, and their results help reconcile theoretical models with how the Sun behaves. December 26, 2014  Of course they don't, but they do have the genetic machinery to make fingers — something that shows how similar fish are to modern mammals. Could Glitter Help Solve NASA's Giant Telescope Problem? 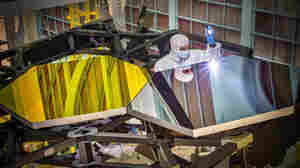 December 23, 2014  NASA's next big space telescope costs $8 billion and is very heavy. New York scientists think they may have found the makings of a cheaper, lighter answer for future space scopes — in a crafts store. December 16, 2014  Scientists have seen mysterious bursts of methane in the Martian atmosphere, and they can't rule out the possibility that the methane was made by something that was once alive on Mars. December 15, 2014  It turns out that when scientists collaborate internationally, they are more like to have an impact on science than purely domestic collaborations. December 4, 2014  Most telescope cameras can only capture a small patch of sky at a time. 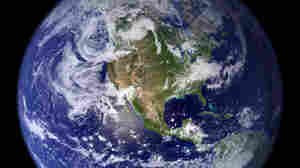 But a new camera has a much larger field of view, and its backers are hoping for help in deciphering its reams of data.